Lock in a great price for Sweet BCN Youth Hostel – rated 8.9 by recent guests! I really appreciated how the staff helped me plan my trip to Montserrat! Thank you! Very beautiful hostel, love how it looks! Comfy, cosy, clean, a cute balcony and wonderful staff. The staff was pretty nice and sweet who recommended me some spots to go, restrooms are clean, and the public area is also comfy. What I like the most is that they provide lockers with keys, which was convenient since you don’t have to bring your own lock. This is definitely one of the best hostel I have ever stayed in,and I’ll say it’s way beyond my expectations! I love the balcony with nice view and the bathroom with relaxing music :) The staff are really friendly and helpful. Decent location for the price, amazing small/authentic feel to the place, excellent bedding and storage facilities, great lounging and eating areas. Basically everything you could ask for and more!! Location, cool apartment, good people hanging out, everything was fine. Everything! I don't even know where to start. The staff is amazing and always friendly and helpful. Dorms are very nice, comfortable and big beds, big lockers and wide rooms. Bathrooms always very clean. And the common areas are probably the best part - it really feels like being part of a family! Also very good position, 10 mins from Sagrada familia, in a quiet zone but also not far from Rambla. One of the best hostel I've ever stayed! Over the years I’ve been to dozens and dozens of hostels. This is by far the best one I’ve been to! If you make a list of all the things great hostels should have this hits all of them. Clean, comfortable, great location, great showers, STRONG wifi, two lockers (big and small) to keep your things in, individual space in the kitchen to keep food, AC in the rooms, power outlets and reading lights for every bed, the most friendly staff! Shout out to Elsa. You can also borrow beach towels. I would stay here again in a heartbeat! Rooms big and confy, staff very helpful, nice bathrooms and fully equipped kitchen! Nice place to stay. One of our best sellers in Barcelona! Located 1,650 feet from Gaudi’s La Pedrera Building, Sweet BCN Youth Hostel offers rooms and dormitories with shared bathrooms. Featuring original ceilings and floors, this bright property has a 24-hour reception and shared lounge. All simply decorated accommodations includes free WiFi. Dormitories feature bunk beds and private rooms have a double bed. Bed linen is provided and towels are available for an extra cost. All rooms have lockers with keys. 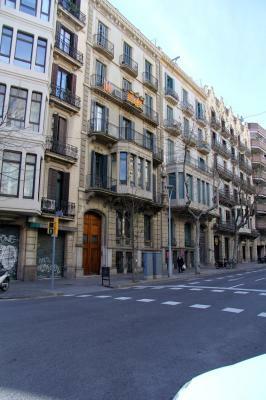 When would you like to stay at Sweet BCN Youth Hostel? This property has original Nolla Tile floors which are architectural patrimony of the city. The high ceiling are also a beauty to watch. We are located in the largest neighborhood in Barcelona city center, Eixample, which is where most modernist buildings are located. House Rules Sweet BCN Youth Hostel takes special requests – add in the next step! Sweet BCN Youth Hostel accepts these cards and reserves the right to temporarily hold an amount prior to arrival. Please inform Sweet BCN Youth Hostel of your expected arrival time in advance. You can use the Special Requests box when booking, or contact the property directly using the contact details in your confirmation. Great hostel, small, calm, VERY CLEAN. It is on great location. Staff is friendly and happy to help you with advice and suggestion (thank you Elsa)! Bathroom are nice and clean. Kitchen is very nice and you can enjoy in tea or coffee for free. YOU WILL FEEL LIKE YOU ARE AT HOME!!! Super clean and cozy, staff is nice and helpful. 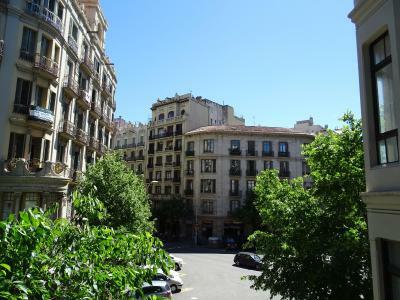 It’s located in a great area with plenty of nice restaurants nearby and walk distance to Casa Milà, la Sagrada Família and other famous scene. You have to ask to turn the the temperature up in the dorms. It was comfortable. The showers are nice. Only 3 showers and 2 toilets, so might have to queue. I would suggest having somewhere for people to dry their hair without disturbing people in the rooms, so we don't need to occupy the toilets when doing so. This is the most proactive hostel I had ever stayed. I was contacted via mail and WhatsApp in offering assistance planning my trip to maximize my experience in Barcelona. While I didn't utilize the service because I was just in the city transiting for a night, the reception was welcomed and gave me great suggestions on the food and directions I could go around. This is a retreat from the hustle and bustle just a few blocks away from the 5th Avenue of Barcelona. Quiet with a terrace to sit outside, a great place to read or write. 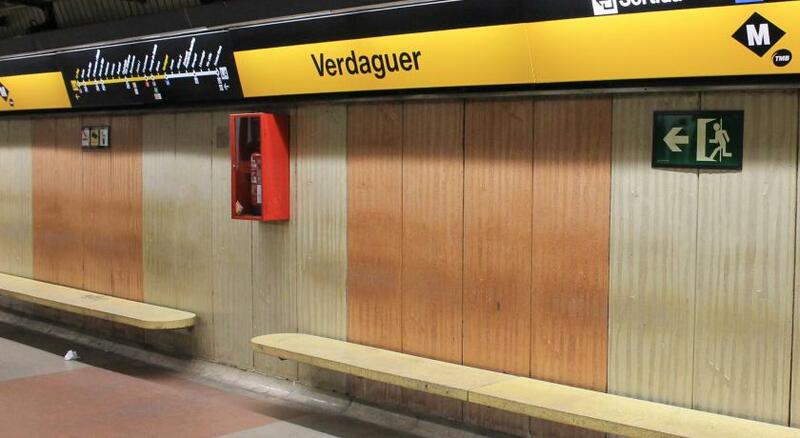 And of course, still convenient with its location. The interior is beautiful itself, and the personal locker is spacious. (I put my entire cabin trolley in the locker!!) Some are not satisfied with the plug inside the locker because I felt safe with the design that you can leave your things charging without having to worry whether it would be taken. Lovely hostel with very friendly staff! I liked very much the place! Perfect location, beautiful old building, good accommodations and nice staff. I would say that if you are a fan of sleeping early, this may not be the most ideal hostel for you. There are rules about when to be quiet, but due to the layout of the hostel, the rooms are attached to the living area, and the doors are not thick so you can hear EVERYTHING that is going on outside the room. Also, even though the rules were no cooking after 11PM, this is not something everyone stuck to and the staff members didn't comment on it. Also the cleanliness wasn't terrible, but it wasn't the best. The shower rooms were big enough, but there was no where to put anything other than a hook for your towel. This meant that you had to put all your clothes either on the floor (which wasn't the most clean) or on the toilet (again, not the cleanest). With this, there was also a lot of grim and dirt in the showers and sick - probably from people that day, but still, the staff should be checking this often and making sure it is clean. It was a lovely hostel to stay at, but I did feel a little dirty at times. The location of this property was perfect. It was a very short walk into the centre of the city, and also it was very close to the metro station and also the bus stations. I also liked how there were proper bathrooms - two toilets and three shower rooms with a toilet also in. This was something that seems to be quite uncommon in hostels now, and it made it feel a lot nicer and didn't feel as though anyone was creeping on me. The entrance was a bit difficult to find, there should be a clearer sign or descriptions about how to get into the building. Everything about this hostel is amazing. We had some changes on our arrival time they still accepted us. Staff is always smiling and careful. Peoplw who is visiting this place is also smiling and warm blooded the best hostel so far!